A Thing (or Two) About Holly Jean: Is the Secret Sister Gift Exchange Really a Hoax?? I don't think so. 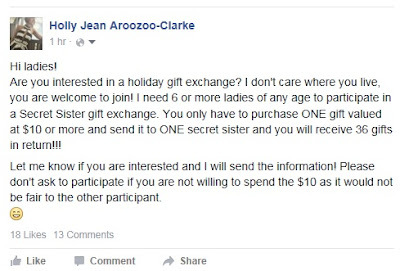 Is the Secret Sister Gift Exchange Really a Hoax?? I don't think so. So I just participated in the Secret Sister Gift Exchange. I've seen it on my friends' walls on Facebook for the past couple of weeks.. but I never participated.... because bah... give one gift and receive 36 in return? Surely it's schemey!? But my curiosity got the better of me today. And I joined in. So how it works is... You join someone's gift exchange. 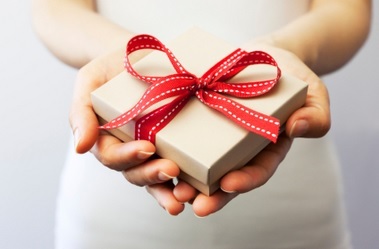 You send out one gift to the receiver that is assigned to u. Then you get 6 of your friends to join the gift exchange. And these 6 people will get 6 of their own friends to join. Down the line, you get a turn to be the receiver of gift. And it ends up being 6X6 = 36 gifts. Now, I'm pretty sure some assholes will join this gift exchange to receive gifts... and yet never bother to send out that ONE gift to the person they were assigned to mail a gift to. I expect I would receive less than 36 gifts. Which is fine... 36 is A LOT anyway. I guess it all boils down to the honesty of people participating in this. I sent a gift to a girl called Josephine that was assigned to me. So she will at least receive one gift from this Secret Sister Gift Exchange. I refuse to believe that there are not more honest people out there. So she should be getting more than 1 gift. In a couple of weeks, when all the gifts are due to come in... I will update you on how many gifts I received, and even share with you pic of the gifts. Should be interesting to find out how this Secret Sister gift thingy pans out. And besides, it doesn't take a huge investment from me. Just a $10 gift to my secret recipient... who I don't even know in person. Even if I get no gifts in return because the 36 people who were assigned to gift me something all turned out to be dishonest... meh. It's their own karma. There's many nay sayers on Facebook saying it's a hoax, or chain mail (erm. it's not a hoax or chain mail la. There are articles on blogs and websites saying... don't join this gift exchange hoaxy thing because you will not receive any gifts back! What nonsense... because... if you sent out a gift like you're supposed to... then SOMEBODY must be getting something. How can no one receive gifts? And there are people who think it's risky because you have to give your address (so people who are assigned to be your secret Santa can mail the gift to you) . Like maybe got psycho out there. But Huh... U don't give address how ppl gonna get the gift to you? I give people my address almost daily when I buy things from sites like Carousell la. Eventually, it will fizzle out as the novelty wears off. And people will not be interested in joining. But for now, it seems like good fun. I believe that all 6 friends of mine who joined my exchange, will be sending a gift to the girl (her name is Evelyn, btw) they were assigned to gift. Exactly, I agree with you..I like your attitude about it. 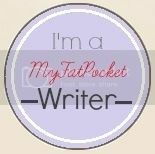 I also wish more people signed up with me. Wow... this is an excellent way of recycling gifts we received the previous year! Now, where's that salt n pepper holder which I didn't really need. Someone else might actually find this handy.